This interactive seminar is designed to help lawyers improve their negotiation skills, while understanding better how to service their commercial clients from the perspective of a non-lawyer. The speaker for the seminar is David Murray. David has more than 25 years' expertise in the broadcast media and spent 14 years as at the BBC where he was Head of Sports Rights, negotiating deals with a host of world-leading sports rights holders including the International Olympics Committee, UEFA, FIFA, Premier League, Formula 1, Six Nations, and Wimbledon. Four years ago he launched his own sports business consultancy, Fozmuz and works as a Broadcast and Negotiation Consultant for Shoosmiths. 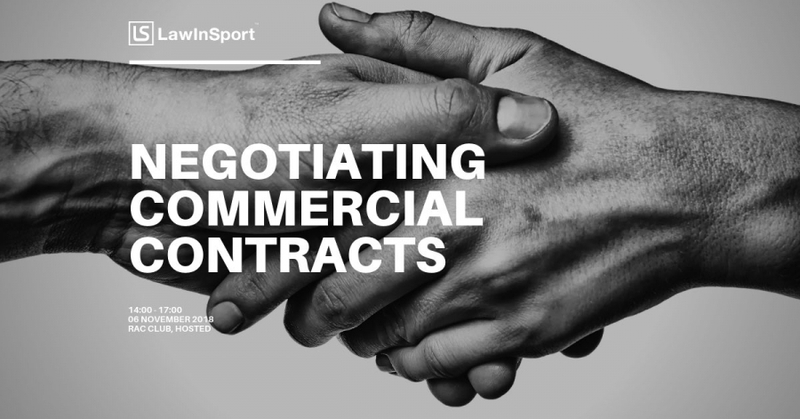 David is a highly skilled negotiator, having concluded hundreds of media deals with the biggest sports federations, and also teaches negotiation at the University of Liverpool and Salford, and through his own company, the Better People Organisation.